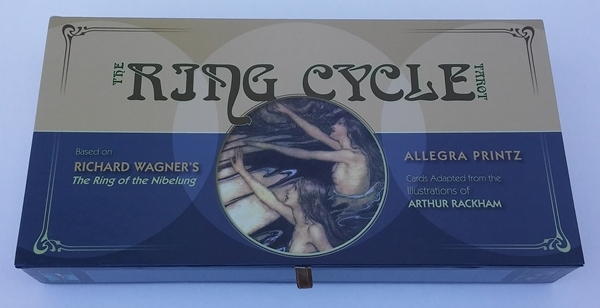 The Ring Cycle Tarot is a deck based on Richard Wagner's epic The Ring of the Nibelung opera, featuring Arthur Rackham's illustrations of the story. Rackham's exquisite artwork was what drew me to this deck. Going into it, I knew absolutely nothing about the opera. 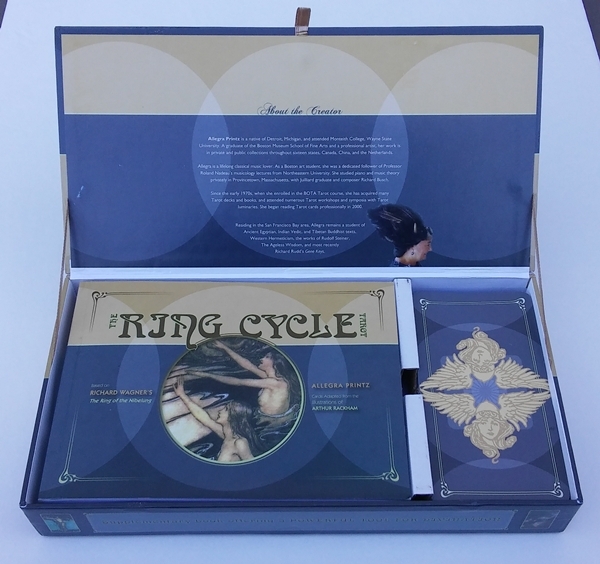 When the deck arrived, I immersed myself in the companion book and was blown away by how the author so brilliantly tied the story into a tarot system. The book and deck come housed in a box that closes magnetically. There is a removable cardboard divider, and I find that whenever I open the box, a lot of the cards have found their way under the divider, and are under the cardboard that the book lies on, which is a minor inconvenience whenever I want to use the deck. Even though the set was shrink wrapped when I received it, the top card in the deck was chipped when I opened it, so that must have happened during packaging. I would assume with regular use, the cards will chip easily. The box itself is the wonderful, sturdy quality you can expect from Schiffer Publishing. The cards are quite tall (3" x 5.5"), making my hand stretch uncomfortably to riffle shuffle. But you really do want these cards on the large size so you can see the detail in the artwork. I think they would have benefited by having no borders at all, either allowing for a smaller deck, or in keeping with the current dimension, allowing for larger images. The borders are two-toned, beige at the top and greyish blue at the bottom. The backs (shown in the bottom-most image below) are reversible, featuring mirrored images of a Valkyrie's head and winged helmet. The colors on the back are beige and blue, matching the borders on the fronts. The cards are matte with a slight sheen to them. They are a bit stiff, but thankfully not super thick like the usual Schiffer card stock. The Aces are all scenic images. The suits are named for races/groups of people. Cups are Walsungs. Wands are Gods. Swords are Gibichungs. 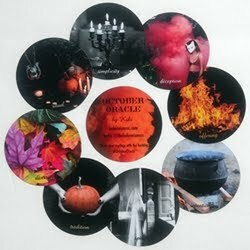 Pentacles are Nibelungs. There are a few cards whose titles stray from the traditional tarot. We have the Hanged Woman, instead of the traditional male counterpart. Temperance in this deck is renamed Magic, and Judgement is named Aeon. The illustrations are gorgeous. My god. I mean, Arthur Rackham. The beauty of this card system is that the illustrator, once upon a time, had created this artwork specific to the opera. So the two are meant to go hand in hand. It's not a matter of taking an artist's work and forcing it to fit a story. However, the creator did have to make the artwork and story fit a tarot system, and she did so quite naturally. It flows pretty seamlessly. I did wonder about a few of the card choices, thinking this would go better over there, but overall I have no complaints. It works. It's an exquisite triumph, and if I were the creator I should be beaming with pride. 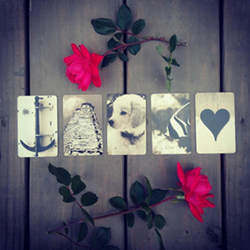 Tying a tarot deck in with a rich story line gives you a different perspective with which to read the cards. Instead of pulling a card and thinking, this card means this, you pull a card and see this is when this happened. You have a frame of reference. A memory. A comparison based on something similar that happened to someone else, and you have their whole backstory to go with it, complete with what led up to it and what happened after, which is something you don't have with an ordinary tarot deck. Having the backstory provides a wonderful extra layer of depth and meaning to readings. Once you familiarize yourself with the story and the role each tarot card plays in it, it really makes for fascinating card readings.You get deep, textured readings with this deck. The cards you pull give you bits from a rich story line to use as a metaphor, a parallel, to your inquiry. This allows you to stand back a bit and be more objective, seeing how your situation plays out in another reality. It's brilliant. The style of the system makes readings come across as elegant, refined, classy, and a touch somber. The amazing book that accompanies the deck is an extensive 256 pages. It is genius. 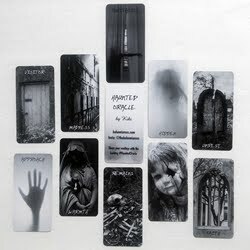 The author offers a brilliant way to tie the story to the deck by using the cards in the storytelling. For each act, she tells you what cards will feature in that part. I happily played along, as it was a genius way to get myself to remember how each card pertains to the story. As the story goes on, she will refer to each card as it appears in the story (sometimes more than once). This immerses the reader completely. I could never have read this deck with any real understanding if it were not for this method. I spent my free time over a few days, poring over the story with my cards, loving every minute of it. The book begins with a Table of Contents and an Introduction which tells how the author came to design the deck. She then brilliantly walks you through the scenes of the opera, weaving each tarot card into the story. 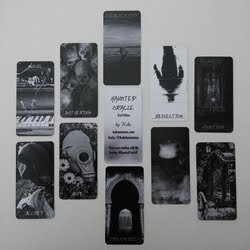 After that, each card gets its own page or two, complete with a black and white image of the card, card background, divinatory meaning and reversed meaning. 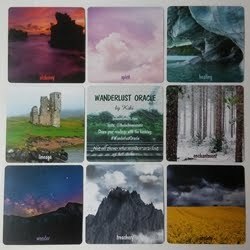 The Major Arcana cards additionally come with an accompanying music note and Rainer Maria Rilke quote. There are three spreads given. Following this, there is a section for Quick Reference Card Meanings, a biography of Arthur Rackham, a section on the Ring's Great Themes, a section on Wagner's Ring Music, and musical listening suggestions which provide the reader with some of the opera excerpts along with their tarot card counterparts. The book ends with a bibliography, epilogue (which is a single philosophical question posed to the reader), and an About the Creator page. The front cover of my book, after only a few days of careful use, has come unglued from the binding. I only hope it does not undo itself from the entire binding. This is an amazing deck and book set, whether you are familiar with the opera or not. Half the fun for me was learning the story. The illustrations are gorgeous, of course. The cards and backstory provide fascinating depth to readings. This set is a genuine treasure! I can't recommend it highly enough. Card Size: 3" x 5.5"
Deck-specific LWB: No LWB. Full-sized deck-specific companion book.